»Essay writing skills, in French or in English. »»» Quote effectively & avoid plagiarism. »»» Organise your thoughts clearly & concisely. »»» Use a dictionary more effectively. »»» What makes a good translation. »»» The internet as information tool. »»» Feel less intimidated by literary texts. »»» Genres and literary trends. »»» Learn French history as taught in France. »»» Key dates and historical figures. »»» Get a grip on Current Affairs. »»» Identify the important issues . »»» Say what you mean, clearly & logically. »»» Your presentation objectively assessed. 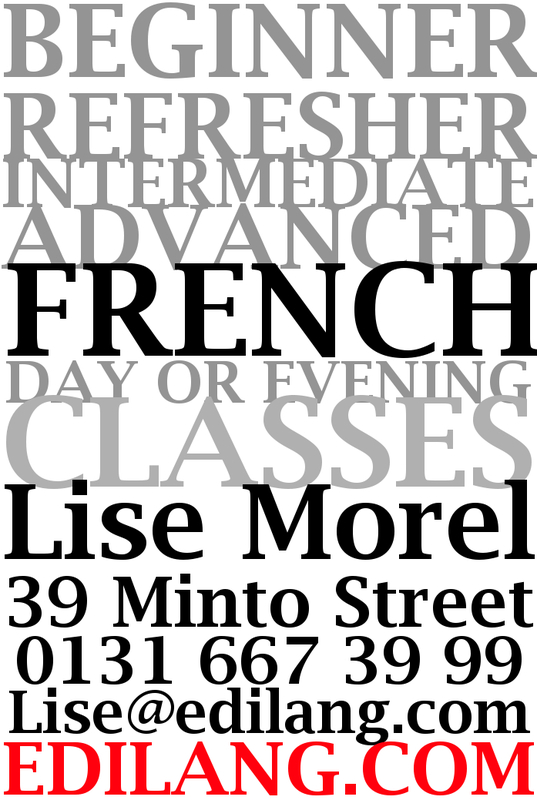 Lise Morel has 19 years of experience in language training, and knows all the tricks of the trade – you will quickly speak (and listen! ), through a range of interactive techniques. A choice of tea, coffee or herbal tea is available free of charge during the lesson.